Let your style do the talking by wearing these jeans from the house of Desigual. They features an embroidered effect above the knee that renders their fashionable, while the zip fly with a button closure makes them convenient to wear. 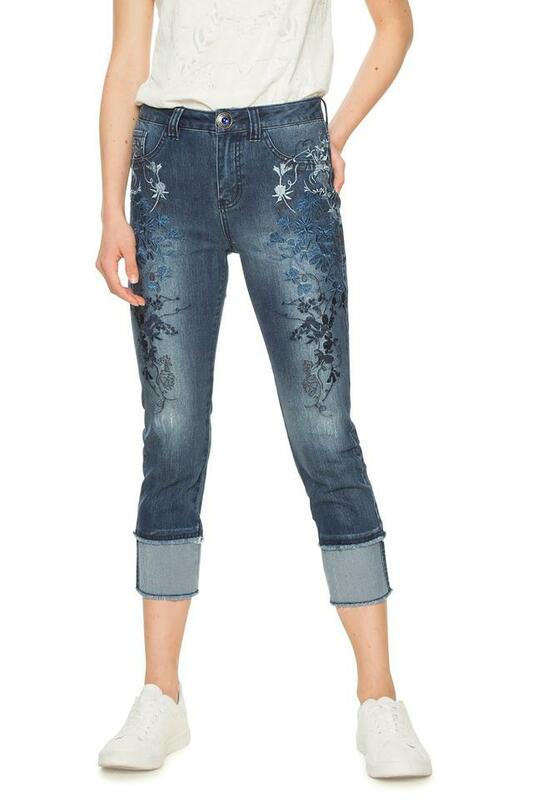 Designed as per the latest trends, these fashionable jeans will be an ideal pick for you to wear on casual occasions. 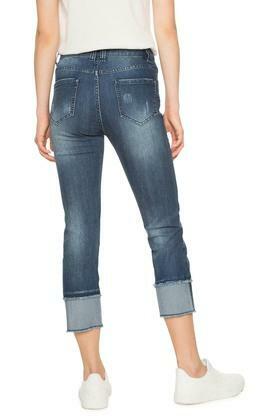 They can be teamed with a top and a pair of heel sandals for a chic look.